It was another tough weekend for the Quinnipiac Bobcats men's ice hockey team as they fell at home to Clarkson 4-2. The team is now four points behind Cornell for a top four spot in the ECAC standings. On top of the loss is the news that Andrew Taverner is no longer with the hockey program. The junior from Edmonton, Alberta played in 21 games for the Bobcats recording three goals and five assists. That will open another roster spot for next years team and could put coach Riga or coach Dumais back on the recruiting trail or they could bring in either Daniel Winslow or Ryan Finnegan both's 1997's into next years recruiting class. On Monday the USCHO poll came out and the Bobcats were not in the polls for the first time since October 27, 2014, a disappointing fall for a team that was the preseason number two team in the country. With that said let's move on to what some of the future Bobcats did over the past week. 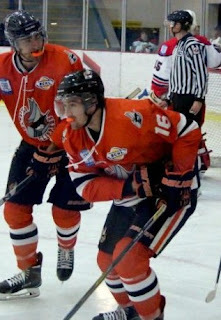 Nanaimo Clippers (BCHL) 1997 forward Matt Creamer has scored a goal in each of his last four games and currently has a five game point streak still in tact. In his last five games played he has four goals and five assists and is the Clippers second leading scorer with 32 points (17 goals and 15 assists). The Warwick, Rhode Island native is expected to be part of the 2017-18 Quinnipac incoming recruiting class. 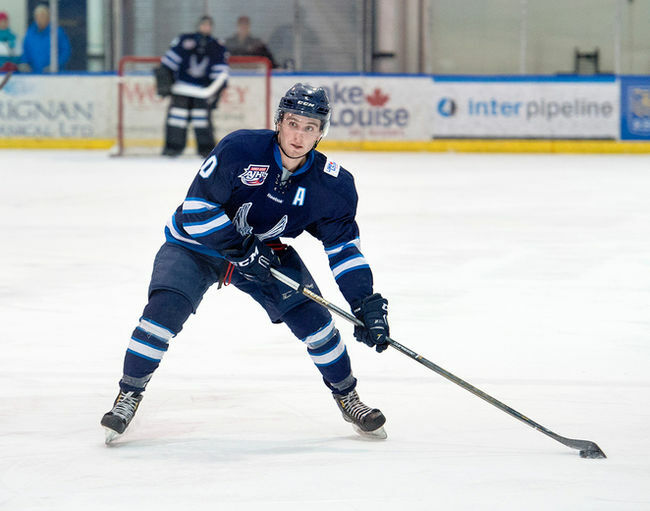 1996 forward Matt Forchuk of the Canmore Eagles (AJHL) continues to produce game in and game out. In three games played this past week he had four goals and two assists for Canmore. With 78 points (26 goals and 52 assists) he is the leading scorer in the AJHL. He will give Quinnipiac much needed offense next season and expect him to be a big contributor on the power play for the Bobcats who need to improve in that category. Odeen Tufto has been traded for the second time this season in the USHL. The 1997 forward was dealt to the western conference leader Sioux City Musketeers with two other players from the Tri-City Storm. In four games played for the Musketeers he has one assist. On the season he has 29 points (8 goals and 21 assists) in 42 games with Fargo, Tri-City and Sioux City. Tufto is going to be part of the Bobcats incoming recruiting class and should help improve the offense that is averaging only 2.93 goals per game a year after scoring 3.79 goals per game. 1998 forward Khristian Acosta was traded from the Wilkes-Barre Scranton Knights (NAHL) to the Sioux Falls Stampede of the USHL. He finished with 35 points (12 goals and 23 assists) in 34 games for the Knights. Acosta was a 9th round pick by Sioux Falls in the 2016 Phase II USHL Entry Draft. Its been a big ascent for Acosta this season going from the Tier III New Jersey Hitmen to the Tier II Wilkes-Barre Scranton Knights and now to the Tier I Sioux Falls Stampede in the highest junior league in the United States. Acosta will need another season of development and if that is going to be with Sioux Falls that is going to be a big benefit to him as it will help prepare him by playing against the best college bound players in the country. 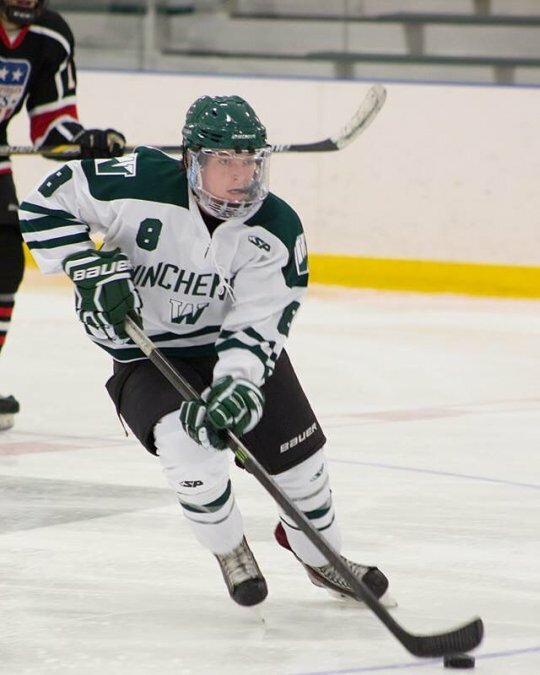 1999 forward Matt Fawcett has surpassed his production from a season ago when he had 38 points in 28 games played for the Winchendon School. This season in just 22 games played he has 44 points (20 goals and 24 assists). In his last four games alone he has eight points on four goals and four assists. For the season he is averaging exactly two points per game. He is making a strong case for being part of the Sioux City Musketeers team in the 2017-2018 season. P.A.L Junior Islanders 16U defensman Dom Fensore had a goal and an assist this past weekend. The 2001 defenseman a New York native had both of his points come via the power play. In 21 games played he has 26 points (10 goals and 16 assists). For Fensore nine of his 26 points points come by way of the power play (4 goals and 5 assists). He is a candidate for the U.S. NTDP for next season. 2001 defenseman Nicholas Kent had a goal and three assists in four games for the Delta Hockey Academy Elite 15's. In 26 games played, Kent has 22 points (2 goals and 20 assists). Both of his goals have come by way of the power play. The Ladera Ranch, CA native has matched his point total from a season ago but with more assists and less goals. He is eligible to be selected in the USHL Phase I draft this spring. He was previously selected by the Saskatoon Blades in the 7th round, #147 in the 2016 WHL Bantam Draft. Salisbury School 2000 defenseman Peter Diliberatore had five points (1 goal and 4 assists) in his last three games for the elite Connecticut prep school. In 26 games played the Nova Scotia native has 15 points (4 goals and 11 assists). His USHL rights are held by Sioux Falls Stampede (USHL) and the Halifax Mooseheads own his rights in the QMJHL. Newly committed 2001 forward Connor Tait has continued to show he is an elite goal scorer. After finishing his Team Maryland 16U season with 43 goals and 14 assists in 30 games played between the AYHL and ECEL, he already has scored 33 goals with 18 assists in 28 games played for the Gonzaga College High School varsity hockey team. With 76 goals in 58 games between two teams he is averaging 1.31 goals per game on the season. Quinnipiac is showing interest in Brooks Bandits (AJHL) 1998 defenseman Dennis Cesana a native of Providence, RI and a Kimball Union alum according to Mark Divver. In 51 games played for the Bandits he has 47 points (11 goals and 36 assists) from the blue line. The 5'10 190 pound left shot defenseman is expected to spend another season with Brooks before going to college. He also has interest from Bentley, Brown, Vermont, RIT and Alabama-Huntsville.